Keen to head to France but not keen for the long haul flight? After an island holiday with a side of culture? 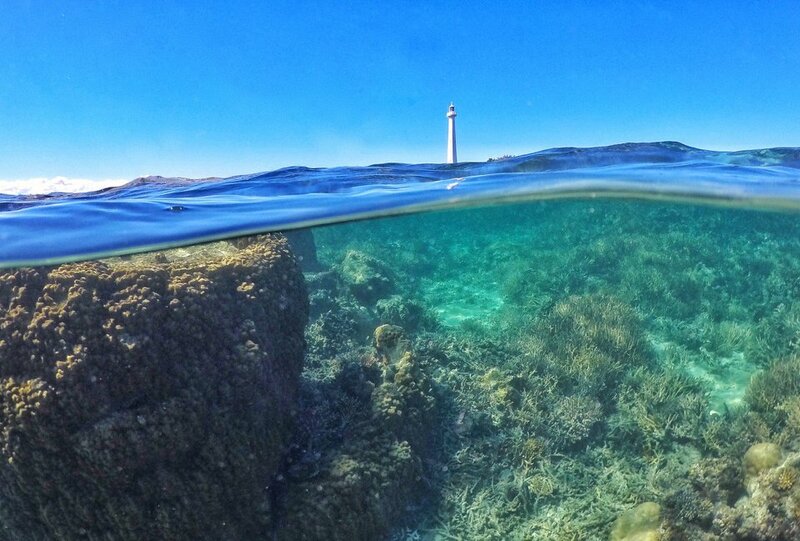 Keen for a long weekend of snorkelling? If you answered yes to any of the above then New Caledonia might just be your next holiday destination. Alex our consultant from the Bright office spent four days at this island paradise recently, here’s what she found. On approach into Noumea – after a very short direct flight of just under 3 hours – the sun is setting and we get our first glimpse of the island – I’m surprised to see towering mountains and flowing rivers, set off by a stunning red and orange sky. We also see the outlying reef that creates the world’s largest lagoon that New Caledonia is famous for, and get excited for the days ahead. The next three days are spent snorkelling, kayaking, horseriding, and dining on delicious French cuisine.Locals walk around town munching on bread sticks, there are girls walking around with bowls of croissants, and lots of ‘Bounjours’ – people are happy and friendly here. The snorkelling in New Caledonia was the best I’ve ever seen – the colourful coral and extensive sealife was a definite standout. There was lots of turtles too that were completely unperturbed by us curious humans, and happy to pose for a photo. We hire a kayak and paddled across to Duck Island for a snorkel on our first day – excellent sea life under the surface. The next day we hired a water taxi and travel to Amedee Island – so many turtles to be swam with there, as well as a lovely white sand beach and crystal clear water. We did see a few sea snakes at Amedee too – they are not a threat to humans but can be a bit scary at first to look at! We also drove further north of Noumea and went horse riding on a ranch near La Foa – our guide David was lovely and the horses were too! Screeching eagles fly above as we amble our way through creeks and up hills to view the ocean to the West and rolling hills and farmland to the East. We see some wild black pigs and some curious turkeys along the way. The people are friendly, the travel time is short, food is delicious and the snorkelling the best in the world. I’d definitely recommend New Caledonia for an island holiday! – a little bit of French goes a long way!-Do some research on the tours before you leave and book them in advance if there’s something you really want to do. Easier than battling the language barrier booking with a local tour agent in Noumea. – Hire a kayak or stand up paddle board rather than water taxi to Duck Island – quicker, cheaper, more fun and it means you can eat an extra croissant at breakfast! -Las Hombres for tasty tapas dishes (Crevette Pinxa was a stand-out – garlic prawns). Located on the same pier as Le Roof, also overlooks the water. -L’Hippodrome for authentic French dining, and a locals hangout. Bring the French phrasebook for this one! -Hilton Noumea, Ramada and Nouvata are all located at Anse Vata beach and all are walking distance to the beach and restaurants, there’s a room for every budget. -Escapade Island offers overwater bungalows for those looking to truly escape from the everyday!